God wants to use ordinary people like us to change the world - here in Edinburgh, throughout Scotland and Europe, and to the ends of the earth. Missional Church: God’s Plan & Your Purpose was aimed at helping you find your part in God’s great plan and to see what you can do next. Talks were given by leaders from New Ground, the family of churches that King's is part of. 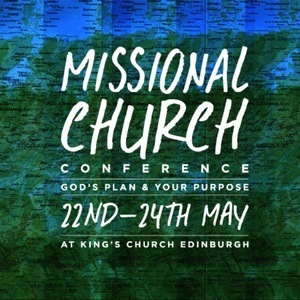 Dave Holden, leader of New Ground, our family of churches, explains what a missional church really is and what our role in it should look like. Chris Taylor, leader of Redeemer International Church in The Hague, opens our Missional Church Conference 2015. Henk Kersten, part of New Ground's core leadership team, concludes our Missional Church Conference 2015.